There was no doubt Chevrolet was in the high performance sports car business with the release of the 1957 model. Visually the 1957 model was a near-twin to 1956. Engine displacement increased to 283 cu in (4.6 L), fuel injection became optional and a 4-speed manual transmission was available after April 9, 1957. Pushed toward high-performance and racing, principally by Zora Arkus-Duntov who had raced in Europe, 1957 Corvettes could be ordered ready-to-race with special options. This vehicle has RPO 469C 270hp 2x4bc high lift camshaft was produced on 1621 vehicles a little better than 25% of the total production, and RPO 685 Close Ratio 4-speed transmission was produced on only 664 vehicles. In addition, it appears as ordered without FOA 101 a Heater and is a Radio Delete. Only 957 Corvettes were Polo White with Red trim in 1957. The Duntov Mark of Excellence award was created by the National Corvette Restorers Society in 1985, in honor of Mr. Zora Arkus-Duntov, long-time Chief Engineer for the Chevrolet Corvette, who retired from General Motors in 1975. The Duntov Award recognizes individuals for the restoration and preservation of 1953 -1974 Corvettes. To achieve this coveted award, an owner must attain a judging score of at least 97% out of 100 % based on an original “as manufactured” standard at a National or Regional NCRS event; as well as present the car for a rigorous performance test of all vehicle mechanical components and functions, all of which must operate as those of a new car, without a single failure. Finally, the car must again score at least 97%, at a National NCRS Convention, to receive the Duntov Award. The process of achieving the Duntov Award requires attendance at a minimum of three events and must be completed within a three year period. Only 1,073 Corvettes have achieved the NCRS Duntov Mark of Excellence Award. This spectacular example is 270hp 2X4, 4 speed, two tops, no Heater or Radio. 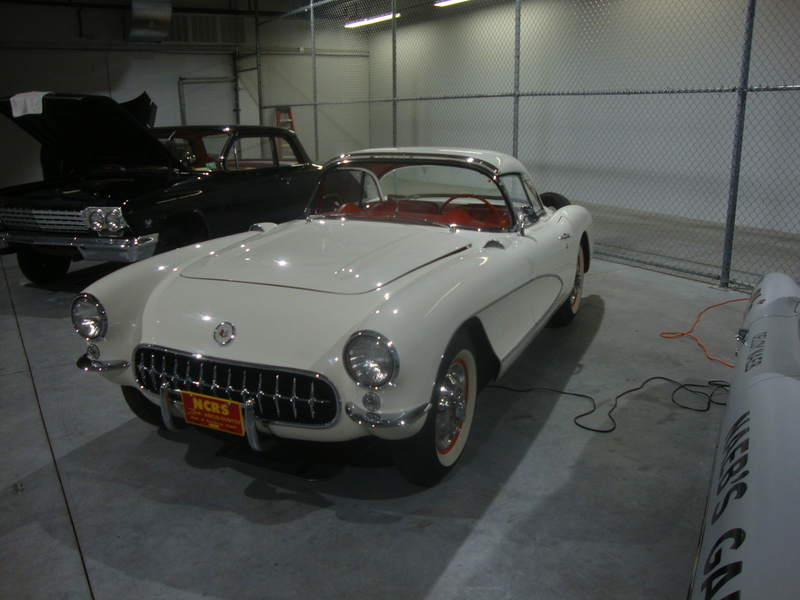 One of the nicest restored 1957 Corvettes you will ever find. It’s been judged by the best to be the best. NCRS Regional Top Flight, NCRS Regional Performance Verification, NCRS National Top Flight, NCRS Duntov Mark of Excellence 99.5 score, all judging sheets and awards are available.